This must be our affirmation if we are to access the Real. To become subjects of Truth, we must dedicate ourselves to making the impossible possible. On December 2nd, I attended a lecture given by Alain Badiou at Art Center College of Design in Los Angeles entitled, “In Search of the Lost Real.” The topic of the lecture was access to the “Real,” which is a term from the work of psychoanalyst Jacques Lacan (I’ll give you a definition of the term below). Jacques Lacan defines the “Real” in a triad of terms, alongside the “Imaginary” and the “Symbolic.” In his triad, The Imaginary is the realm of the ego or the self, which is called “imaginary” since it is both “not real” and “based off of an image,” our own reflection in the mirror. The Imaginary is the category of being a separate person with a distinct boundary or identity. On the other hand, The Symbolic is the realm of culture, which is structured by language and formal systems. Once you get a lot of people together, you have intersubjectivity and discourse. The Symbolic is the category of knowledge and power, and all of the things that link us together in a network of meaning and symbols. If the Imaginary is our word for being a separate person, then the Symbolic is our word for the cultural systems that network all of these separate people together. The Real, however, is outside of these systems. The Real is the infinite realm outside of language and difference. It is our “category” for the wild reality that cannot be tamed by our vain attempts to categorize. Being outside of language, we have no way to talk about it. As such, I often prefer using the term the “Void” to denote its radical unknowability. A key idea for Lacan is that both the Imaginary and the Symbolic are built off of the Real. They are sculptures formed from the raw clay of the Real, even though they pretend to be something different – they exclude the Real, the very thing they’re made out of. However, the Real does not go away. It is always there, shining through cracks in our poorly built facades, interrupting and intruding at every moment it gets. Alain Badiou started his lecture with an example from math. In the formal system of arithmetic, the infinity of numbers makes our calculations possible (we can never hit the “end” of doing math, much to many students’ chagrin). However, this same “infinite” is the very impasse of our formal system – infinity, as a “number,” breaks arithmetic. In this sense, the infinite both grounds arithmetic while also being its impasse. In other words, the infinite is the ground for the possibility of arithmetic, but also stands as the impossibility of arithmetic. Linking these ideas back to our terms from Lacan: the Symbolic of arithmetic is built from the Real of infinity. This was the revolution of Georg Cantor, who founded set theory math. Set theory takes the infinite as its starting point, and forms a new way of doing math. Set theory says, “There is an infinity of infinities.” Not only did Cantor establish an absolute infinity in math, but he also introduced transfinite numbers into the discourse. By doing this, Cantor took a system’s impossibility (the infinite in arithmetic) as his starting point, and then built a new math from there (set theory). Thus, Cantor reached through one of the cracks in the Symbolic of the math of his time, into the formless Real of infinity, and pulled out a piece of the infinite. For Badiou, this process is so essential to being a human that he calls it a “Truth procedure.” Truth, for Badiou, is the act of reaching into the impossible and pulling out new possibilities. The idea goes like this: Formal systems (the realm of the Symbolic) are grounded upon impossibility (the Real). So, in order to bring Truth into the world (to access the Real) we must take impossibility as our starting point, strive to make the impossible possible, and build a new world around this encounter with the infinite. Is it possible to become the Real? This is the question I asked Alain Badiou at the end of the night. You can listen to his answer in my audio recording at the top (mine is the last question, around 1:12:30). His answer was more directed toward the politics of permanent revolution, and the fact that each new formalization must posit a new impossibility, which can then become the starting point for a new revolution, and so on ad infinitum (utopia is thus forever receding). However, I want to re-ask this question to you, but this time with a more mystical bent (as I do in this Notebook post). Most of what has been said so far has to do with the colonization of the Real by the Symbolic, or the making of previous impossibilities possible. So… what would the opposite look like? What would it mean to dissolve the Symbolic and enter the Real? What would it be like to exist in the impossible? 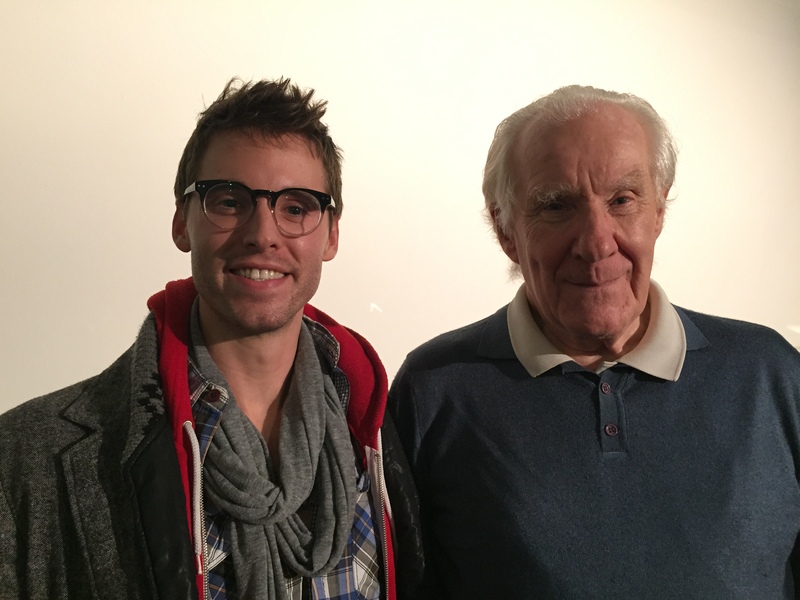 Featured Image photo credit: Siren-Com from the Wikipedia post on Alain Badiou.